• What's different about a prison setting? We have taught CE in our local jail many times and just finished DE recently and they are both great courses for jail, very well thought for all of the challenges we see teaching there! We would love to see you create MANY of the same kind of courses for ALL of the books of the Bible! I'm speaking on behalf of the leaders but even more so the inmates who seem to grasp the gospel in powerful ways through your courses so we thank you so much! Keep up the great work! I have used this resource many times in Prison. 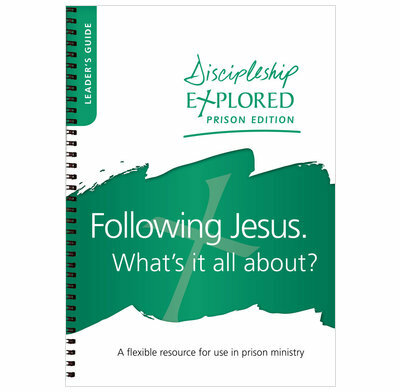 I have seen the Lord use the Prison edition of Discipleship Explored to really help Prisoners in their understanding of God's word and to help disciple them. A great follow up to the Prison edition of Christianity Explored. I fully recommend this book.